It happened to you at least once – you were so caught up in replying to a text while you were walking that you nearly ran into a lamp post. In Germany, they have a name for people who can walk with their noses in the smartphone’s screen, oblivious to other people, potential obstacles, and traffic: “smombies” – or smartphone zombies. 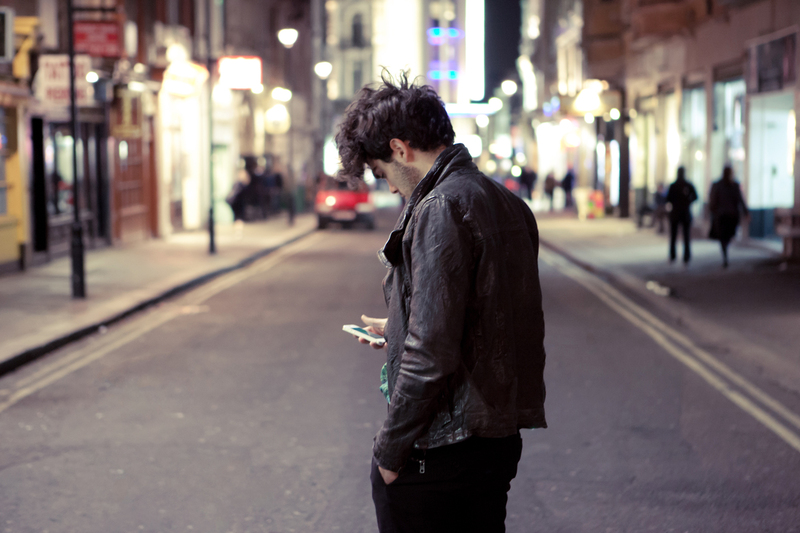 Even though we are aware of the dangers that occur when we text and walk, we still do it. In New Jersey, the state’s lawmakers are even looking to ban this kind of behavior, for everyone’s safety. If the proposal will move forward or now, it remains to be seen. But Germany has taken a different approach; the officials in Augsburg in the Bavaria region have given this particular breed of tech junkie special traffic lights. Seeing that they rarely look up from their phones, the lights had to be installed into the pavements. According to a report in The Local, people will be prevented from colliding with oncoming traffic as they catch up on Facebook or take directions from Google Maps while roaming the city. So far, officials have installed lights into the pavement at two tram stops in Augsburg which flash red should a tram approach the station. The signals also light up when the normal pedestrian lights turn red. Anyone trying to get through that difficult level of Candy Crush is bound to see the lights flashing red as a relatively quiet train approaches the station. We can already hear Harms’ sigh as he talks about this issue. While not noticing the normal lights would not have been a problem some decades ago, the current situation requires something to be done. In the recent past, several pedestrians were reported to have been hit by trains while looking at their phones, and in March, a 15-year-old was unfortunately hit and killed after looking at her smartphone in Munich. Many distracted and clueless pedestrians ended up in the emergency room, and their numbers will only increase as mobile devices become even more common. The new lights debuted in Augsburg last week as a test. If they’re a success, more lights will be installed at other tram stops.